At HubSpot, we view our diversity initiatives as business-critical. 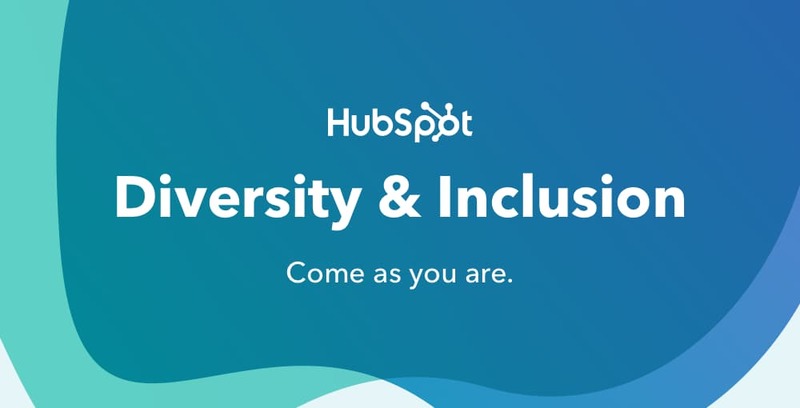 We’re committed to making HubSpot more inclusive as we scale and grow – both because we know diverse teams perform better, but also because we believe it’s the right thing to do for our customers, partners, community, and values as an organization. To continue strengthening that commitment, we’re pleased to announce that HubSpot has welcomed Jabes Rojas as Director of Diversity, Inclusion and Belonging. We’re excited to announce that Anne-Catrin Sallaba, a versatile leader with more than fifteen years of management experience in EMEA, will join HubSpot as Senior Manager, Customer Success in the DACH region. Based in HubSpot’s Berlin office, Anne-Catrin will be responsible for leading the team towards continued success in customer happiness, working closely with the company’s EMEA headquarters in Dublin. HubSpot announced today that it has released a new integration with Zoom Video Communications, Inc. that aims to help customers have better meetings and incorporate video into their marketing, sales, and service activities. Through the integration, customers can now automatically use Zoom to host meetings scheduled from HubSpot and deliver Zoom Video Webinars inside of the HubSpot platform with a new Zoom workflow action. HubSpot is excited to share that it was named a December 2018 Gartner Peer Insights Customers’ Choice for CRM Lead Management. Gartner defines CRM Lead Management as: "The process of capturing leads, tracking their activities and behavior, qualifying them, giving them constant attention to make them sales-ready, and then passing them on to the sales team."